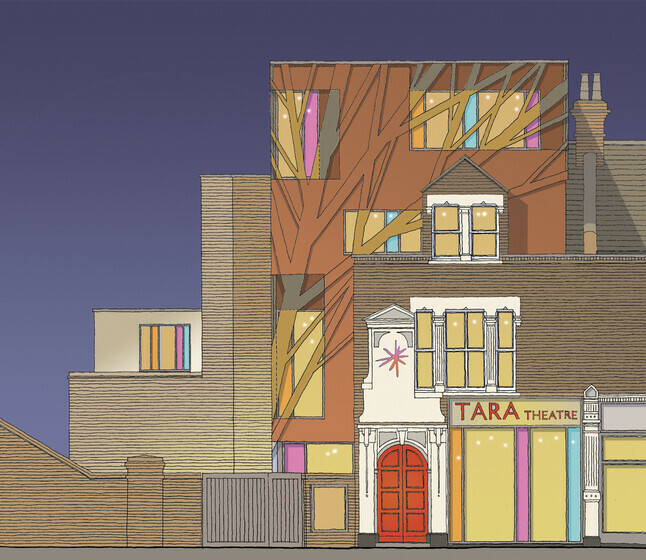 The Tara Arts centre project is the refurbishment and extension of a community theatre located in Earlsfield West London. The Theatre of Sikh origin is a cross cultural community facility working with youth groups. 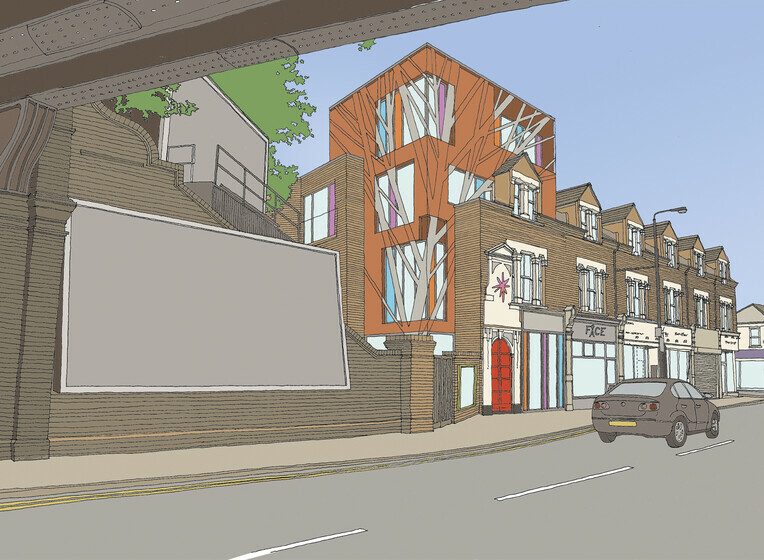 The renovation of the existing Arts Centre is to enable the client to expand and meet the increasing demand and reputation of working in such a multi-cultural part of London. 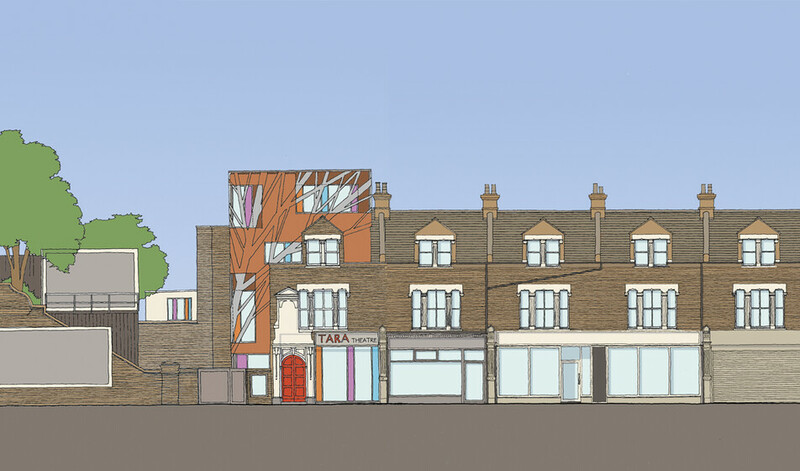 The existing façade to the building is to be retained as much as possible with the inclusion of a new basement space and also additional floor levels. The building is to be fitted with new MEP services throughout with emphasis on the low energy and low maintenance systems. Heating and cooling is to be provided via ground couple boreholes and a reverse cycle heat pump. Ventilation will be provided via a displacement system which induces air at low level ad provides maximum audience comfort. LED lighting technology along with simple lighting control further reduce the energy demand. Finally, water conservation is emphasised by the use of low water use urinals and pans coupled with a grey and rain water harvesting system.